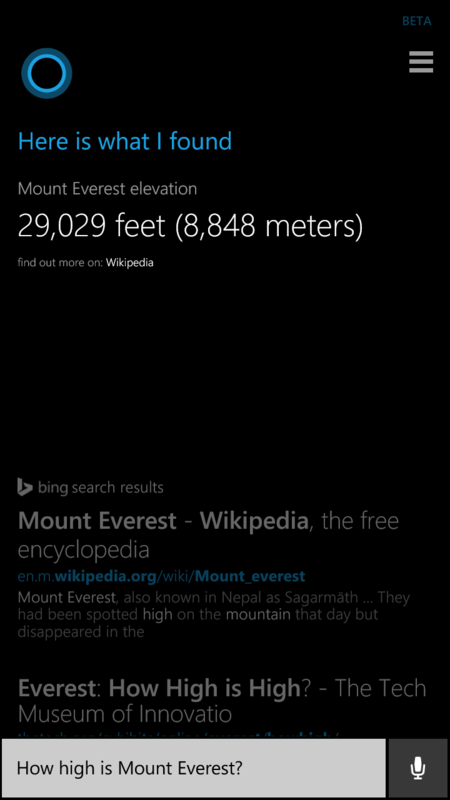 notification that it is there – it is just a matter of asking Cortana a question and seeing if it reads it out loud to you. It’s similar to the Lifestyle Fitness update that I posted on Monday. It just appears. Cortana remains one of the great features of Lumia Denim and now that it is coming to the Windows 10 desktop, the power of this personal assistant will be opened literally to millions. Microsoft clearly has committed to keeping Cortana feature rich and ever learning which can only be a good thing for consumers.